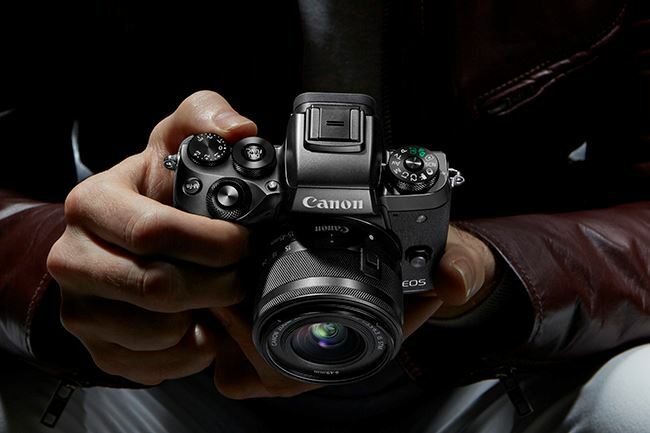 Perfectly balancing high performance and small size, the Canon EOS M5 with 15-45mm lens delivers the speed and quality of an EOS DSLR. It features a powerful DIGIC 7 image processing, APS-C 24.2-megapixel CMOS sensor, and Dual Pixel CMOS autofocus. The lightweight 15-45mm lens is a versatile lens suitable for portraiture, travel, and much more. Enjoy an authentic EOS experience with the Canon M5. 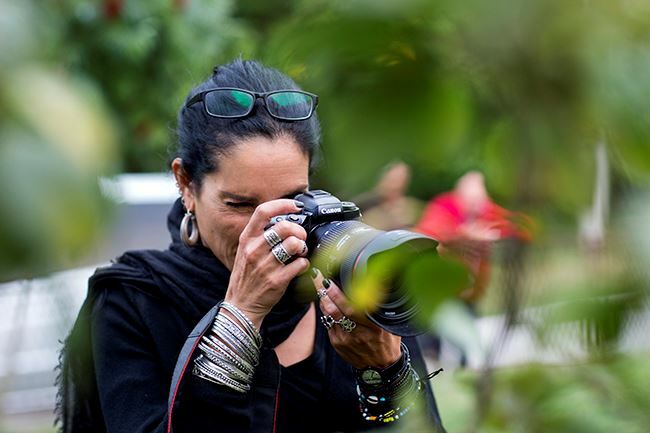 Take the speed and quality of a DSLR with you in a compact, lightweight body. Powerful DIGIC 7 image processing delivers stunning photos and movies straight out of the camera, while the Canon APS-C sized 24.2 Megapixel CMOS sensor ensures fantastic 14-bit RAW photos with low noise and great dynamic range. 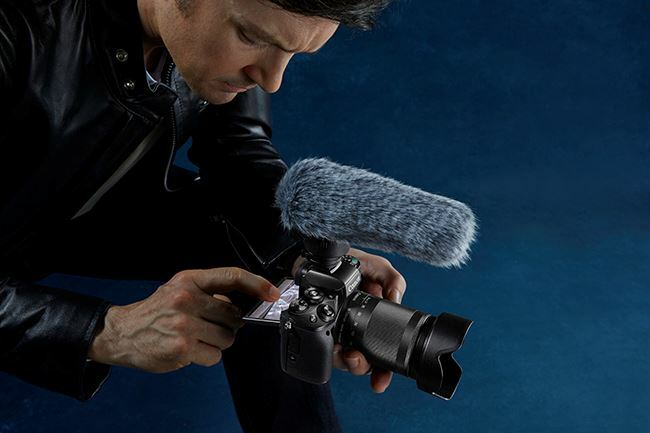 React instinctively to the moment and catch spontaneous action with ease thanks to Dual Pixel CMOS AF, which ensures DSLR level AF speeds and precision tracking during sustained 7 fps continuous shooting. Plus the EOS M5 has a rapid start-up of just one second. Create stunning Full HD cinematic movies at 60 fps with astonishing depth and clarity. Dual Pixel CMOS AF offers precision subject tracking and, combined with Touch AF and STM focusing technology, enables dramatic focus transitions. In-camera 5-axis digital stabilisation ensures steady footage even when using non-IS lenses. Enjoy an authentic EOS handling experience thanks to a high-resolution central electronic viewfinder with 100% frame coverage, a large tiltable touchscreen and extensively customisable controls. 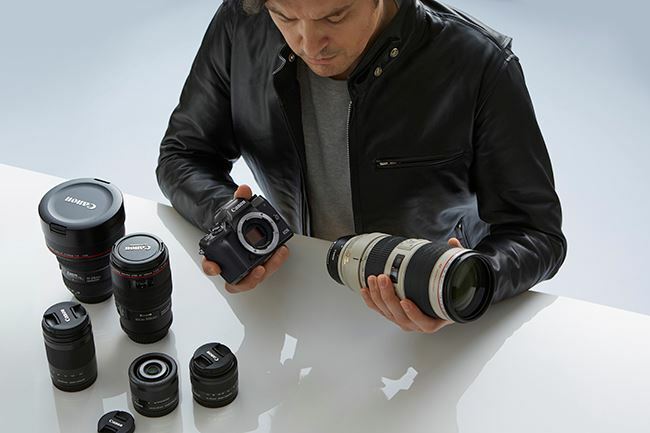 Explore a huge range of creative options with the compact EF-M lens range and over 80 EF lenses. Connect your camera to compatible Android devices with just one tap using Dynamic NFC and even maintain constant connection via Bluetooth®. Shoot stills and movies remotely from your smartphone and automatically back-up images to cloud services, your computer or smart device using Image Sync.